The statistic astonished many in the solar industry, given Australia’s small population compared with renewable energy market leaders such as European Union countries, China, Japan and the United States. About 392,500 new household solar systems were switched on last year. Australia still generates far less solar electricity than those countries, but the nation’s preference for small, individual panels mounted on detached, owner-occupied suburban homes means a greater number of systems were actually installed. ”It took me by surprise that we were first, because Germany and Italy are so big,” said Ric Brazzale, the president of the REC Agents Association, a body representing traders and creators of renewable energy certificates. Altogether, 785 megawatts of solar power was installed in Australia last year, virtually all in the form of small-scale panel systems on homes and businesses. This meant Australia just scraped in ahead of Japan and Germany, which deployed about 759 megawatts of small-scale solar power – although that represents only about 10 per cent of total German solar production. Similarly, in other big solar nations such as the US and China, government incentives emphasise big solar power plants, and only a small proportion of renewable energy comes from household rooftop panels. 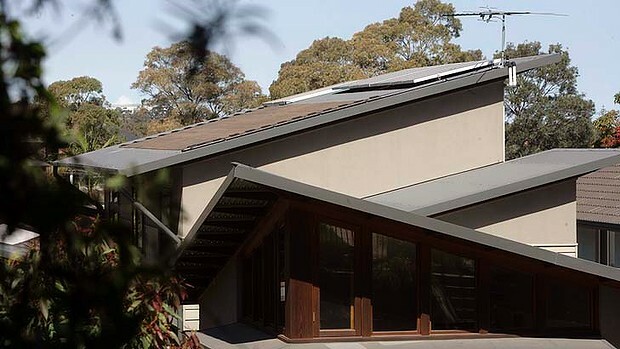 The end of generous state feed-in tariffs, such as the NSW Solar Bonus Scheme, had created a late rush to get panels on roofs, said Nigel Morris, the director of market analyst Solar Business Services. Mr Morris analysed the data, which was then scrutinised by others in the industry and found to be accurate, after cross-referencing with International Energy Agency figures for last year. Based on an average household size of 2.5 people, nearly 4 million Australians now live in a house or work in a business with solar panels on its roof. The amount of electricity generated by rooftop panels has increased almost tenfold between 2009 and 2011, and continues to grow despite rebates and tariffs being wound back. Altogether, renewable energy made up about 7 per cent of Australia’s total electricity generation last year. Much of that came from hydroelectricity in the Snowy Mountains Scheme, the federal government’s most recent Energy in Australia report shows. I am always thinking of PAKISTAN. Also I think Pakistan needs FREE ELECTRICITY like we in Australia Sydney ALREADY do by THOUSANDS. Pak Government should authorise electrician FIRMS to learn, KEEP STANDARDS, and install solar panels on Lahore and Karachi etc ROOF TOPS. Presently NO PAKISTANI knows HOW or WHAT this can be done ! Again MY SHOW that RUINED EDUCATION SYSTEM of TECHNICAL SCHOOLS has produced low and third class ELECTRICIANS who are USELESS without extra training so electricians can INSTAL PROPERLY FREE Solar SYSTEM. Its NOT mistry or CAR mechanic learning ! Its new TECHNOLOGY and again shows even WHEN LPG came to Pakistan ZIA ul HAQ’s GOVERNMENT totally ignore car LPG Technology as long as he the GENERAL lived LPG was nothing in Pakistan. Remember motorcycle Crash Helmet FRAUD ?